According to this fact sheet on tobacco, published by World Health Organization (WHO), tobacco kills over 6 million people annually. Tobacco also kills every second person who is consuming tobacco. And not only the smokers, over 600000 non smokers are also killed due to secondhand smoke. Smoking tobacco in any form can cause several diseases and death. And if you are aware of the risks of smoking, and seriously want to quit smoking but struggling, then here’s the post worth reading. Quitting smoking is not going to be easy, especially for those who are seasoned smokers, but it is certainly possible to quit smoking. I won’t claim it to be easy, it is not, but if you are determined and seriously want to quit smoking, then I am sure, I can help you to quit smoking. According to the tobacco fact sheet published by WHO, tobacco smoke contains more than 4000 chemical, of which at least 250 chemicals harmful, and 50 chemicals could cause deadly disease like cancer. Over 38% of smokers are even aware of the fact that smoking kills and they seriously want to quit smoking, but then, they fail at their attempt of quitting because it’s not easy. In today’s post, we are going to talk about various ways to quit smoking cigarette or consuming tobacco in any other form. This life is beautiful, and if you think you have so many worries and stress and that’s why you smoke, then you may be wrong. Whether you smoke due to stress of work, relationship, life or just passionately, smoking is not good in anyways. And the early you realize and accept this fact, easier it will be for you to quit smoking. I am not sure if you have tried to quit smoking and whether you succeeded or not. 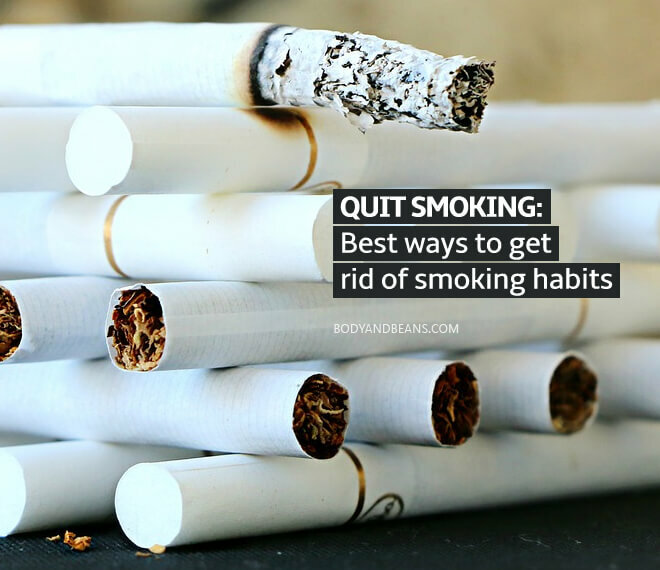 But if you are seriously considering quitting smoking cigarette, then for sure I am going to help you make it comparatively easier to quit smoking. You may have already made multiple promises to yourself or to your loved ones, just to break it later. But trust me, I know how difficult it is for an active smoker to give up and quit smoking. 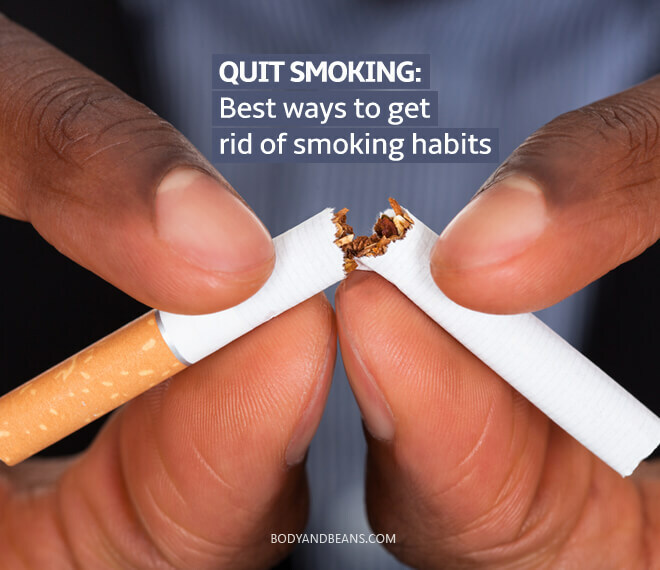 It’s not as easy as promising someone, but with a strategic plan to quit smoking; you can certainly get rid of this bad habit. Let’s take a look at some of the proven ways that makes it easier for you to quit smoking cigarette or consuming tobacco in any other form. As if said, quitting smoking is not easy, but you can certainly make it easy. Planning is seriously important and if you try to quit smoking without proper planning, you may simply fail. If you just wakeup and decide that you won’t smoke from tomorrow, or from day after tomorrow, it may not work well. So make a practically possible and a detailed plan. Start by setting a date for you to quit smoking completely. Ideally 3 weeks of time works well. So choose a date 3 weeks from now and that is the final quitting day. Why do you smoke in the first place? Even if you don’t know exactly, why you smoke, you should try and figure out. Knowing why you smoke and the risk associated with smoking can help you realize what’s wrong and why you should quit. Most of the smokers don’t introspect or try to figure this out. So the first thing you should be doing is note down the reasons and motivation for smoking. Below that list out the risk you are aware of, be it related to your health or otherwise, for example, you lose money, waste time, socially bad impression are some of the risks. Now that you have the reasons and noted downs the risks, read it twice and read it loud, before moving to the next step. There is no better and bigger motivation than your health, to quit smoking. But still there are many who have other reasons to quit. You may like to quit because your spouse is not happy about, or you may like to give up smoking because your kids want you to give up smoking. Or you may be simply motivated to quit smoking for you want to save money or live a healthy and happy life. Whatever motivates you, just note it down on a card, and carry it yourself, where ever you go. Usually smokers have a pattern of smoking cigarette or consuming tobacco in any other form; for example, just after waking up, after tea or coffee, after meal, before client meeting and so on. I have a friend who some three cigarettes a day and the pattern are fixed. He smokes one cigarette before entering the office, one after lunch and one at the time of leaving the office. And that means, he won’t smoke even a single cigarette during holidays, including the weekend. Understanding your smoking pattern will help you in quitting. When you know triggers of craving, you will be in better control. Smoking is a bad habit, and we all agree to it. Sometimes, your family members may be aware of your habit of smoking or they may not be aware of it. Whatever is the case, you resolve and commit to yourself that you are going to quit. Once committed, it’s time to announce your commitment to your friends and family. Share the idea of quitting with everyone, who deserves to know. They will certainly feel good about it and also help you through your journey. I have seen people announcing it on social network, and I don’t think it’s a bad idea. When you make public announcement, chances are you will be on track. You may also like to share your journey from being a smoke to a non smoker, if not much, it’s going to help you stay on course. As you have set a deadline to finally quit smoking, it’s the day one and your countdown starts. Psychologists, says that if you continue doing something for two to three weeks, it will become a habit. Whether you want to learn a new habit or plan on giving up a bad habit, this approach works well. Don’t take too much of stress on the first date. Instead of trying to avoid smoking completely, just try and skip the trigger. For example, if you smoke one cigarette after lunch, then just don’t smoke after lunch and try to delay it till as long as you can. Also set smaller goals for each of the day. Try and reduce the number of times you smoke and also try to get rid of the craving to smoke. It is too difficult to change the smoking habits overnight. 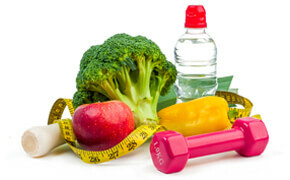 The best you can do for initial few days is to delay the trigger and reduce the intake. Craving to smoke a cigarette is not going to lasts for more than a few minutes and if you can control then you will succeed. Drink glasses of water, eat chewing gum or do whatever you like to ignore the craving to smoke. The mint and chewing gum can reduce your desire to have “just one” smoke. Every time you feel the need to poison your body with nicotine and tobacco, chew some gum or mint. The cool and tangy feeling of menthol triggers the brain about the fresh and clean mouth, and thus the urge to smoke will gradually subside. Gingers are very beneficial if you are trying to get rid of smoking habits. The moment you stop smoking, your body will react and the withdrawal symptoms will start. You will feel nauseous, vomiting, headaches etc. Ginger tea, or ginger juice will help you to overcome these withdrawal symptoms. Drink these, and you will feel better. It also kills the urge to smoke. Have some green tea with ginger if you feel like having a smoke. If you want to kill your wish to smoke, then the basic step is to flush out the toxins from the body. Grape juice is a strong detoxifying agent, and this will help in flushing out the toxins from the body. If the nicotine leaves your body, then your craving for smoking will also reduce. Nicotine filters and electronic cigarettes will make you feel that you are smoking actual cigarettes, while you are just bluffing your own brain. These devices will control your desire to smoke, and also fulfill your desire, but without the harmful effects of nicotine and tobacco. Try this initially for a few days and then try giving it up completely as you approach the final day. Physical exercises like yoga or gym are very helpful for you, if you are trying to quit smoking or looking to give-up any other bad habits. Yoga helps in increasing concentration and immunity, and thus it will help you to fight against the withdrawal symptoms. You can visit a psychiatrist and a therapist who will help you to reduce the smoking gradually. You can enroll for some therapy sessions. You can also join some control groups, where you will find that there are many people like you who are trying to get rid of smoking habits. Listening to the success stories of other people can also help you quit smoking. Smoking is not just a harmful habit, but it is the worst possible torture that you can do to yourself. Smoking means to spend money and then burning your own body. If you love your family, your near and dear ones, yourself, then it is high time that you quit smoking. The ways that I have mentioned above have worked pretty well for me. Did you quit smoking successfully? We would love to hear about you did it? Share with us in the comments below. Smokers who quit before the age of 40 have a lifespan that is nearly as long as people who have never smoked according to a new large study.